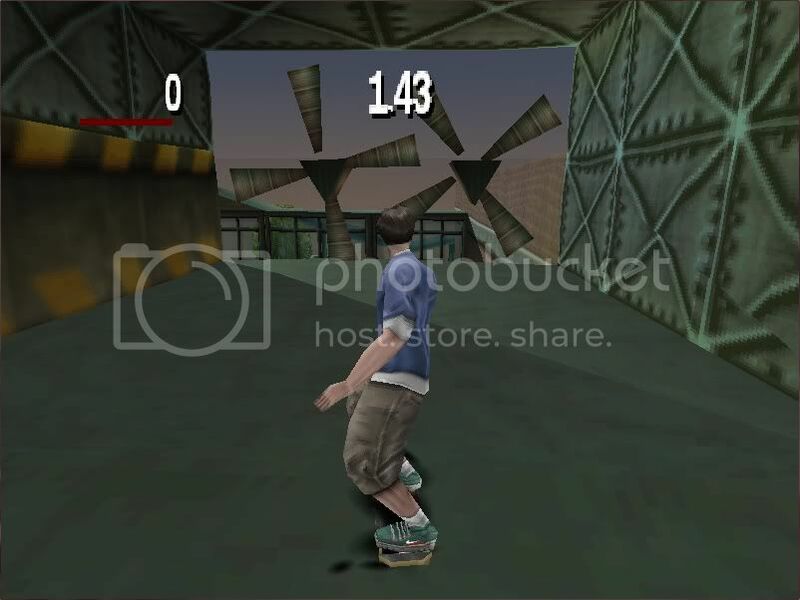 This is the beta for Tony Hawk’s Pro Skater. There were very big differences from the beta to the final game. Some levels are heavily edited from their final versions, and some levels didn’t make it at all. In the character select screen, the characters (save for Bucky Lasek) are very unchanged from their final versions. 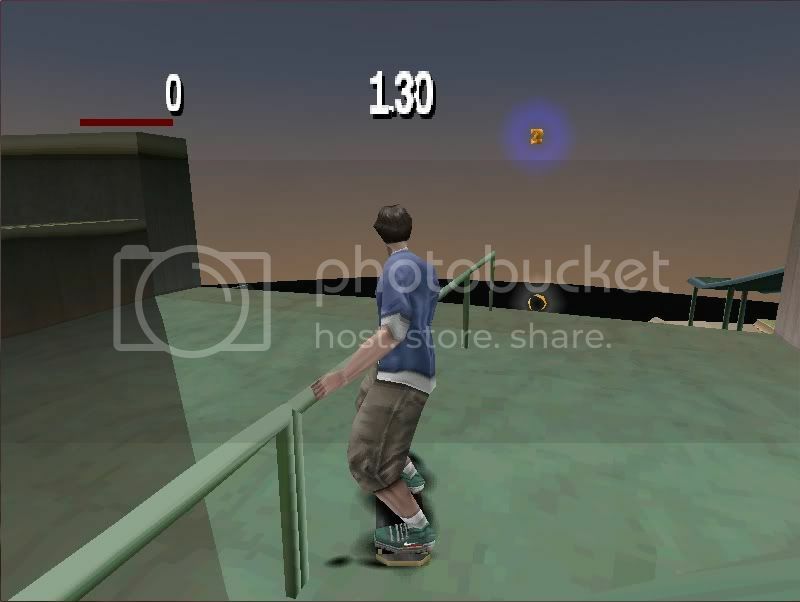 Chad Muska is used as placeholder for some of the characters. The School is the first level in the beta. There are some differences, like the fact that the rooftop is blocked by fans, and that the pool area is also very changed. Instead of collecting 1 secret tape for each level, there are multiple secret tapes to be found in each level. The “Bonus 500” and the “Bonus 200” point symbols are now just plain rings. Thanks to Christopher Mauro for the contribution! 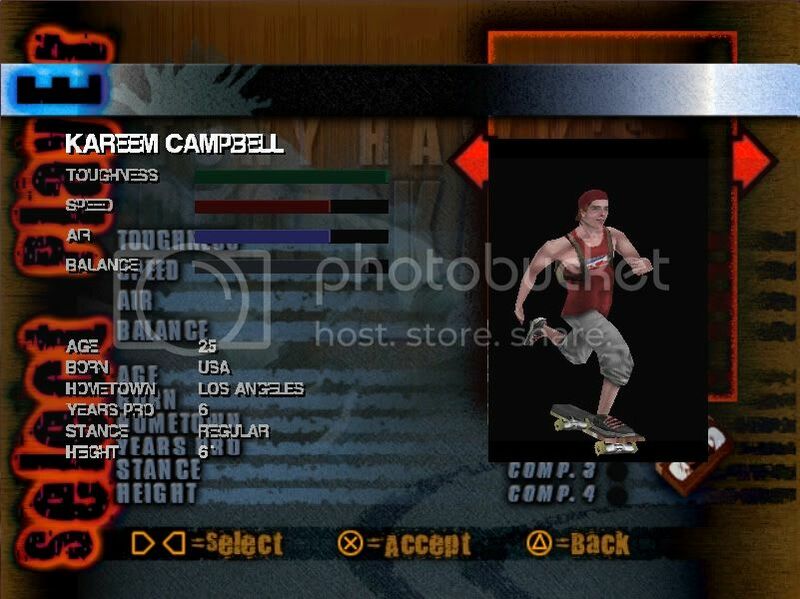 “Based on the information from the source, a forum post from 1998, these screenshots are from a Pre-Tony build, or a build that was shown to Tony Hawk. Downhill: This level didn’t make the final cut because it looked too similar to a level in the arcade game, “Top Skater”. Classic Concrete: This level didn’t make it because it was just a physics test, to see how the skater model reacted to terrain like grass, dirt, etc. Suburbia: It’s unclear why this level didn’t make it. Some say that it was an early version of the San Francisco level, And I definitely see similarities. But for the most part, it doesn’t look anything like it. Freeway: This was probably taken out because it was boring and didn’t have many things to trick off of. I think some of the level was used in the second level of Mat Hoffman’s Pro BMX, like the grindable steel girder and the porta-potties. Recently rewatched the didyouknowgaming video about the tony hawk pro skater series and they really skimmed over a lot of the content that was cut. Such things like the (inaccessible) test level, freeway map, downhill map and more. I decided to play the betas myself and see what I could do to try and get into the test level without a cheat device. Well I succeeded. I took the betas, mixed certain build files together and rebuilt the rom (and can play it on hardware as of yesterday so yay for this) and realized I had forced the test level to be a selectable stage. Heres the levels (excluding Suburbia) that I recorded for Tony Hawk’s beta. The title says “MIXED BETA” because it’s not the original build. The 2 betas that are online I mixed together in some ways so it’s not truly the original rom, but all the stages are in tact and all stages are from the original builds (again except Suburbia which was overwritten by the test level). Last updated by U64 Staff & Contributors at 31-10-2018 . You guys are kinda late, I remember playing the beta during the summer on a modded ps2, now I just use the disc as a cup pad. Probably because it was an anonymous user (aka me) that wrote this. Also, I’d really like to know how you can do that gallery thing with the images. Currently the gallery function has been disabled due to bugs. If you want to set up a gallery in an Unseen post, you have to send all screenshots to Monokoma via email.